You’ve heard of the “Affordable Care Act,” but what do you really know about it? Everyone, individuals and businesses alike can benefit from developing a thorough understanding of how healthcare reform takes effect, now and in the future. 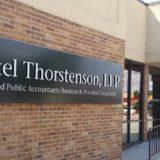 Ketel Thorstenson, LLP (KTLLP) has designated a specialized team of CPAs and accounting professionals to facilitate understanding and guide action when it comes to adapting to changes in the American healthcare system. The Affordable Care Act (ACA), commonly referred to as “Obamacare,” was signed into law in March of 2010. The purpose behind the ACA is to increase the quality and affordability of health insurance and lower the uninsured rate by expanding coverage. The Act itself includes many mandates, subsidies, and insurance exchanges that work toward this goal of increasing affordability and coverage. This is what the Affordable Care Act means to the individual; but what does it mean for the business world? Provisions in the ACA pose a number of challenges for U.S. businesses and organizations who offer health insurance as an employee benefit. With many different areas now affected by these provisions, the ACA has created a whole new employee healthcare environment to adapt to. A thorough understanding of the details behind this healthcare reform act can help you lower premium costs to your business and increase employee access to care. Properly navigating the law will help you to take advantage of the reform – instead of feeling buried by it. Beginning in 2015, under the Affordable Care Act, applicable large employers (ALEs) with over 50 full-time equivalent employees should be aware of the new filing requirements with the IRS. All ALEs are required to file forms 1094-C and 1095-C. Form 1095-B will be filed by employers offering health insurance to its employees. These forms will need to be provided to the companies’ full-time employees by January 31. The timing is similar to Form W-2. For companies offering health insurance to its employees through a group plan, Form 1095-B will be prepared by the insurance company. Form 1095-B summarizes the number of months individuals were covered by a health insurance plan. It is similar to Form 1095-A which was sent out to individuals covered in 2014 on the federal or state insurance exchanges. ALEs are required to file forms 1094-C and 1095-C. Form 1094-C is a summary form, similar to Form W-3. It is used to summarize the number of 1095-Cs filed and provide aggregate information for a controlled group. Form 1095-C is provided to each full-time employee to whom health insurance coverage should have been offered under the ACA regardless if the employee receives the health coverage. 1095-Cs list information such as number of months the employee (and their dependents if self-insured) are covered, the lowest cost monthly premium for self-only insurance, and safe harbor code (if applicable). The penalty for non-filing has been increased and can be as much as $500 per form. Most software needs to be upgraded or add-on packages need to be purchased to prepare these forms. KTLLP has the ability to assist in filing forms 1094-C and 1095-C on your behalf. Please call the ACA Team with any questions. Affordable Care Act Reporting Price Guideline! For a custom quote please call (605) 342-5630 and ask for our ACA team. Our KTLLP Affordable Care Act Team will assist you and your business or organization in navigating this new health insurance territory created by the ACA. By guiding you in the implementation of ACA provisions in existing employee benefits programs, we can help you take advantage of exemptions and credits, while avoiding penalties. Talk with a KTLLP ACA professional about what is needed for your situation. The Affordable Care Act will continue to change the way healthcare is provided in this country. With additional provisions scheduled for “phasing in” between now and the year 2020, KTLLP remains committed to easing these transitions for existing and future clients.